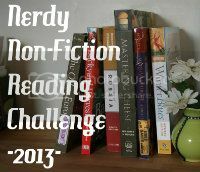 In any attempt to read more nonfiction, I have joined Bookmark to Blog’s 2013 Nerdy Non-Fiction Challenge. I am always trying to read more nonfiction so this challenge should help with that. All my nonfiction book posts are in my nonfiction tag. I really doubt I could be a Nerd or even a Dweeb. I think I manage dork levels every year wherein approximately 10-20% of all the books I read in a year are nonfiction. Some of my favourite or often read categories: Travel, Food, Crafting, History, Memoirs/Biographies. Time for another reading challenge. I’ll be joining Adam of Roof Beam Reader’s 2013 TBR Pile Challenge. Twelve books that I should read for 2013 with two alternates. Books must be published before 2012. I tend to buy a lot of used books at fairs and then not read them. The following books I either own or in one case, have on loan from a friend. Join me and others in this challenge. What are you reading for 2013? Another good reading month as I completed 12 books, including many classics and nonfiction. Sadly. I think things will start slowing down in September. 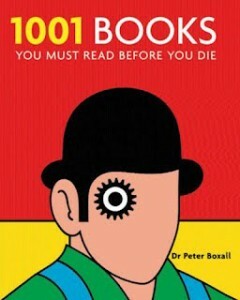 I read 11 books. Crime and Punishment was the most cross posted of books, but I really need to make some other progress. Book Awards Challenge II ( of 10) – August 08 to June 09. I read a lot in June, and made quite a few progress in some of the challenges though I still have a long way to go. I have to read as much as I can in the summer because I am unsure of my reading time in the autumn and beyond. Classics Challenge ( of 6) – July to December 2008. Five classics and one bonus “modern” classic. A Well-Rounded Challenge ( of 6) – July-December six books from six different challenges. TBR Pile – 1: Read Beloved. Book Awards Challenge II ( of 10) – August 08 to June 09. Ten award winning books in ten months. I finished My Sister, Life and Other Poems and am going to write the reviews for it and Persepolis this hour before moving onto Promothea. So that this post is not a total waste, I joined another challenge.